I made a bit of a schoolgirl error when doing the shopping this week. I forgot to buy a malt loaf. I'm a failure of a mother. You see the routine on Sundays now is that Miss A and I (sorry, I don't care if it's grammatically incorrect - I was brought up to say whoever and I, whoever and me just sounds wrong to my ears) go 'fimming'. She doesn't like getting out of the pool again so to avoid a tantrum, I have to warn her ten minutes before hand and then make a variety of promises to smooth the transition to home. Thankfully, because it's summer and we have cream curtains in the bedroom (not my choice), I was awake the very second it got light this morning. The curtains are a bone of contention. We spent months trying to find some to complement our red colour scheme in our lounge. Four months after finally settling on some, we went to buy a new sofa and the husband would only buy it in a horrible lime green colour so we had to redecorate the entire room. The curtains got moved to the bedroom and now, allow light to pour in, unfettered. Within the first day or so of this (two summers ago), I bought made to measure blackout blinds. They're still in their box waiting for him to fit them (he doesn't trust me with power tools). My theory is that it's a reaction to being born on the shortest day of the year. I need total darkness to sleep. If it's light, I'm awake. This will mean I'll manage about two hours sleep when we head up to Scotland next month as it barely gets dark that far north in the middle of June. Luckily for the malt loaf situation, this meant that I was able to get up at stupid o'clock this morning, whip up one of Dame Mary's finest, stick it in the oven and as it takes an hour to bake, I popped out to the garage for a cheeky 4.5 mile run on the treadmill whilst it was doing it's thang. Just don't tell the husband - he'll freak that I dared put the oven on and leave it unattended. Freshly showered, I took the rather pale looking loaf (well paler than that well-known shop-bought version) out of the oven and set it to cool, just in time for Miss A to wake up ready for the day. I hope that she doesn't take after me on the being awake the second it's light front! The recipe says the loaf is best eaten a couple of days after making but as I had to use it pretty much straight away, I'm not sure it will last that long. As I only have one 1lb tin, I only made half the quantity but will definitely invest in a second tin and bake double next time. Miss A loved it, the husband loves it and the bit I tried was nice although I think it needed a touch of salt to cut through the sweetness. One thing Ms Berry doesn't do is stipulate whether to use salted or unsalted butter so I figure next time I make it, I'll try adding a half teaspoon. I would also like to try replacing a little of the flour with some wholemeal to make it healthier. Of course, that will need to be finely tested because the whole point of malt loaf is that it's squidgy - which this was, although less so than the commercially produced version. Having seen the banana malt loaves in the supermarket, I'm wondering if using one in this recipe might work. Probably a good use of frozen bananas as they don't need to look good when they're baked into a malt loaf. 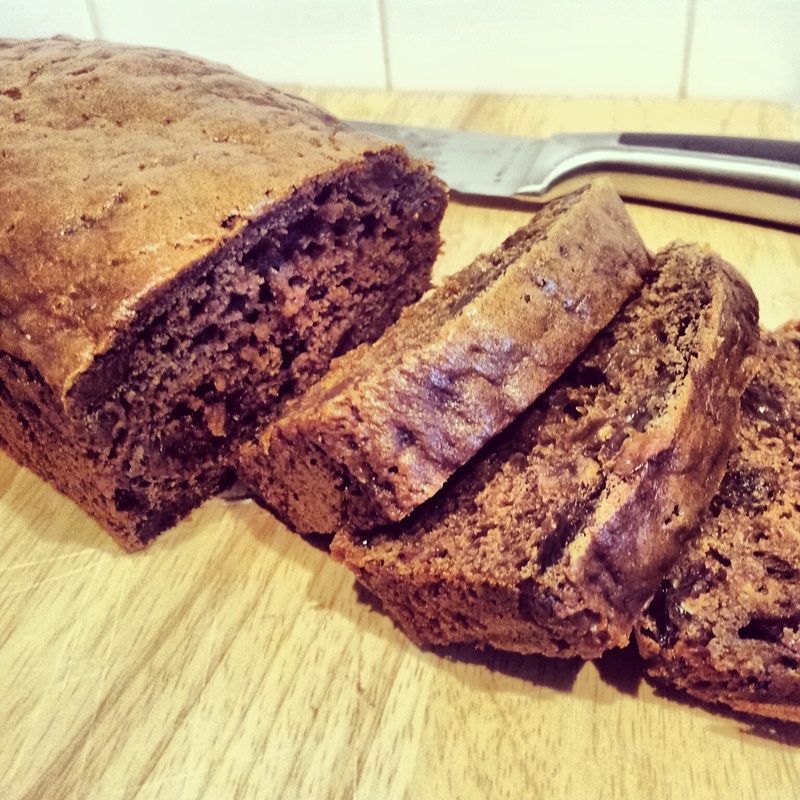 For more info on banana freezing, check out my recipe for Hellman's Banana and Raspberry Brownies from last week. It would probably also work well with some different dried fruit. I'm thinking of maybe trying cherry and apricots. Definitely one for experimenting with. You can find the recipe in Mary Berry's 100 Cakes and Bakes which is a great buy from Amazon at around £4. And if you buy that, you can join the Weekly Bake Off too. Alternatively, you can search on line for the recipe, however I can't condone the website where I found it based on my recent comments on posting full recipes online with little credit to the author. So 'Malt Fwoaf' as Miss A calls it has proved very popular in the Crowdey household. So much so that the tiny one lb loaf I made yesterday had vanished by 4pm today. In fact, the husband ate the last two slices, causing Miss A to have a meltdown because she wanted more 'Malt Fwoaf'. Still unable to deal with my child's meltdowns, I appeased her with the promise that we'd make another one. Of course, only having one 1lb loaf tin and not enough capacity to bake two separate loaves, I hit on the idea of making one 2lb loaf instead. I added an extra tsp of baking powder (and a pinch of salt as discussed above - this improved the taste) and baked it for 1h 15 mins on 130 fan. It still wasn't set in the middle so I then put the temperature up to 150c fan for 15 minutes and I had a nicely set, still squidgy loaf. Only downside was that the edges are a little crispy. If I'd not needed to cook fish fingers for someone's tea then I'd've just left it merrily setting on the lower temperature. Let's see how long this one lasts!